Recently, I was thinking of a Atlantean mythology in the Polynesian culture that could be the basis for a potential future adventure in the Tomb Raider series. I think that Jonah Maiava should play more of an important role in this story, along with Lara, of course. Personally, I think Jonah’s character still has potential, which can be salvaged but the writing for his character, motives, personality and his development needs to improve for his story to resonate with us. This is a criticism that I also extend to Lara’s character to an extent. Ideally, I want them both to have well written arcs with Jonah making some Sully and Zip-like witty banter exchange with Lara and for Lara, to finally enjoy her passion for adventure without any parental drama issues that has plagued her identity and character. For the following story to work in the next game, tonally, I would want the writers to drop the heavier and grittier story-telling elements. By the end of the rebooted trilogy, Lara and Jonah had already experience so much trauma and they have faced too many struggles, that the ending to SOTTR gave us a glimpse of a hopeful future. A sense of relief and peace. I wouldn’t want the writers to retcon that development for both characters in their next adventure. Rather, I want both characters to have had a change in perspective about their past and to have reconciled with the events that have transpired before moving on, to their next big adventure. Most importantly, I want their future adventure to have an air of levity about it and for their friendship to be developed further than what was presented in the last three games. So, here is an idea of a mythology that I propose for the next game, that ideally, I would like to see happen. Firstly, there needs to be a significant time-skip of three to five years between SOTTR and this new game in my mind. During that time, Lara would have had some time to reflect on the events that have happened to her in the past and she would come into this new adventure with a renewed sense of hope and optimism. 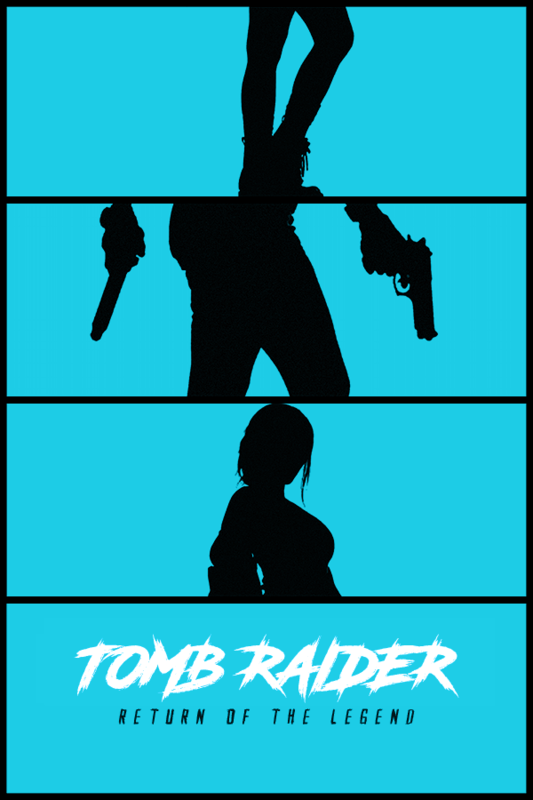 Personally, I think the next game should explore the theme of rebirth in Lara’s character and part of that, should see her reclaiming the dual pistols as a way of re-envisioning her own destiny of her own volition as a Tomb Raider. Return of the Legend starts with Jonah getting in touch again with one of his old colleagues (Edward) from New Zealand who also was friends with Alex Weiss prior to his untimely death. Edward is a former army engineer who currently works for a high-profile engineering company that is involved in a deep-sea excavation project at the Caroline Islands. He mentions to Jonah, that he found the missing ship, Santa Catalina that carried the deceased body of Spanish explorer, Alvaro de Mendana de Neira. The ship was considered lost for more than 400 years after leaving the Solomon Islands in 1595 on its way to Spain. After some research, Jonah realises that Alvaro possibly hid many artefacts from his encounters with other island tribes in some of his voyages across the other Pacific Islands along with Portuguese explorer, Pedro Fernandes de Queirós before his untimely death in 1595. After finding more information to corroborate his findings, Jonah successfully communicates with Lara who is currently in Penang, Malaysia for a short-term vacation. Jonah mentions to Lara that they would need to rendezvous at Manila so they can find the four missing manuscripts from Pedro's journal that would lead them to find the location of the missing treasures around the Pacific Islands. After Lara takes a day flight from Malaysia to the Philippines, hours later, they quickly make their way first to Manila Bay to uncover the first of Pedro's manuscripts. Through their research and ingenuity, Lara and Jonah uncover the location of Pedro's first manuscript in a hidden trove on Carabao Island. Fortunately, for them, a treasure item next to the manuscript indicated that Pedro traveled as far south, to Mindanao. With that clue, they decide to follow the trail to the Davao region in Mindanao, where they later find a letter and a second manuscript at a cave near an abandoned WW2 camp outpost in Mount Puting Bato on Samal Island that details the true reason behind why Pedro and Alvaro hid the treasures from their expedition. With those two manuscripts, Lara and Jonah follow the trail of the last two missing manuscripts in Kiribati and Solomon Islands. With some challenges (not Trinity, but some other PMC group led by a new female villain character, Victoria Espinoza) on their way, they try to overcome them and finally manage to find the last two manuscripts, but they encounter an issue that prevents them from identifying the true location of the treasures. Whilst they re-group their efforts in the Banks Islands of Vanuatu, they quickly come across new evidence that points them in the direction of the treasures from one of Pedro's unaccounted and fifth missing manuscript. With the new information that they find from that manuscript, they finally make their way to the Santa Cruz Islands, a group of islands located in the Temotu Province of the Solomon Islands to uncover the missing treasures. At the same time, Victoria hears of rumors that both Lara and Jonah are on the way to the island by plane, so she tries to stop them by hiring more mercenaries and combat aircraft. After getting hit by an aerial missile, the plane that Lara and Jonah are in, ends up crashing on the Roncador Reef, which is hundreds of miles away from Nendo Island, they try to find a way to survive but encounter Victoria and her group. After being captured and transported to Nendo Island, Lara and Jonah attempt to flee captivity and discover that the true location of the treasures is not in the Solomon Islands but in The Marquesas Archipelago, as one of the secret last trips that the Santa Catalina made prior to their way back to Spain, before being lost to the seas of time. After arriving at the islands, Lara and Jonah uncover the final twist in Pedro’s manuscripts. Combining the manuscripts together as a whole, they discover that the writing at the back of each manuscript has a faded ink that points to a location, which they enhance, using a cheap UV flashlight. They realize that the true intentions of Pedro’s manuscripts and the reason for why Alvaro journeyed as far as The Marquesas islands. It is revealed that they discovered the true location of Hawaiki, a mythical Atlantean underworld hidden underneath the confines of an uninhabited island, on the outskirts of The Marquesas Archipelago. After stealing much of the treasures on the island and leaving it shortly after, Alvaro and Pedro began experiencing vivid paranormal hallucinations. With the death of Alvaro after his ship sank on the way to Spain, only Pedro knew the truth about what happened on the island. Later, he became the subject of public scrutiny and infamy as a result of experiencing a psychotic breakdown after his return to Madrid. He became much of a recluse before his last journey to Panama prior to his death in 1614. When, Lara and Jonah uncover the sinister mystery behind the treasures of Hawaiki, they abandon their plans as they realize that it is laced with a spiritual curse that afflicts anyone that touches it. I thought it would be a great idea to include an Atlantean type of mythology with a Polynesian twist, as the writers can delve into it by bringing Jonah's expertise of his heritage on-board without facing the baggage of cultural appropriation claims made against Lara during her adventure into other countries like Syria in Rise and Peru in SOTTR. In addition, since it is established that Jonah is somewhat of a spiritual person, he could be a valuable ally to Lara, explaining the mythology surrounding Hawaiki due to his obvious connection to his Polynesian ancestry. For all the TR fans on this site, I would love to hear your thoughts on this take of an Atlantean mythology in a future sequel. Last edited by Alterjano; 18-02-19 at 00:06.
omfg yes, finally a proper thread here, yes! and just read through it all; I've nearly fell in love for the first wtf! I could this as the next game. Someone make this a sticky! Let this (if be the one) be a foundation for the game, a heavy foundation. Last edited by New Dwight; 11-02-19 at 04:00. This is the best thing i have ever read regarding the future of the trilogy. I wish people like you were in charge for the next game. Same. Honestly, I really want Philippines and even some of the Pacific islands to be explored in a sequel. There is a potential for an Atlantean mythology to be explored, as long as there is a good twist to it. The reason why I mentioned Hawaiki was because, none of the adventure games (Uncharted/Tomb Raider) previously have covered this Polynesian mythology. Haha, you give me too much credit lol. Though, thank you so much for the comment, I do appreciate it. I think that the next game will have something to do with Hawaii. They mentioned Rise in 2013 and Shadow in Rise. Hawaii was emphasised in Shadow. I spectate that Hawaii or Polynesian culture/History/Mythologies may most likely be the next sequel of next TR game! Just want this! As It was mentioned many times in Rise and Shadow! I didn't read your entire proposal sorry but I don't want Atlantis and monomyth culture yet again. I'd rather they reuse something that's not been reused already in the series if they cannot create original content.